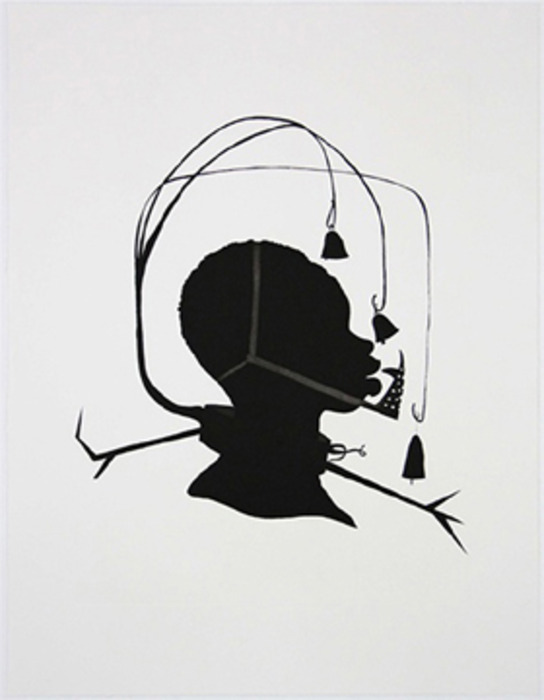 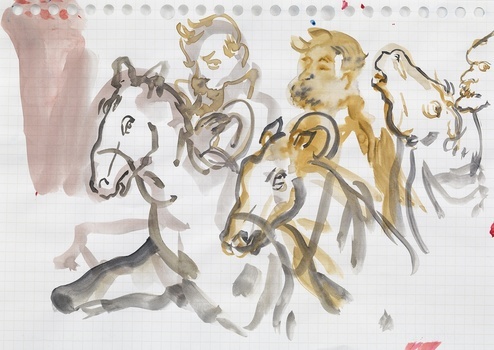 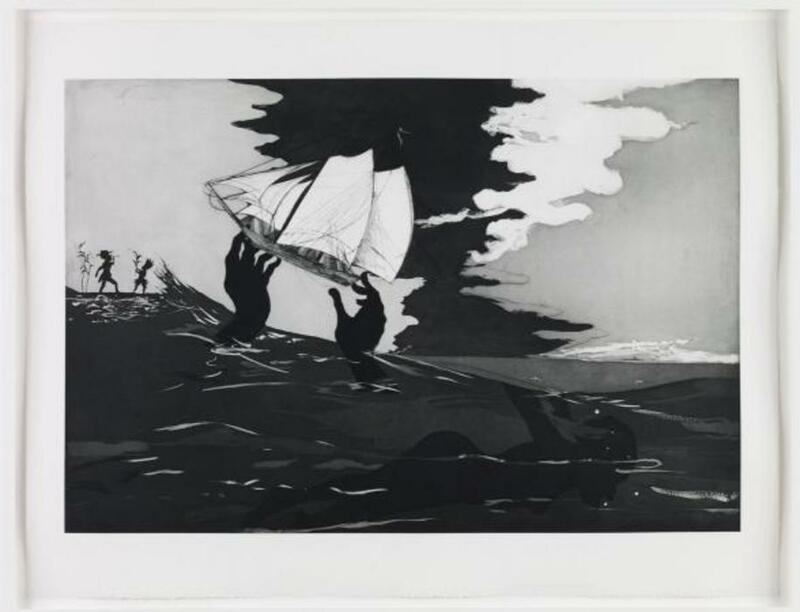 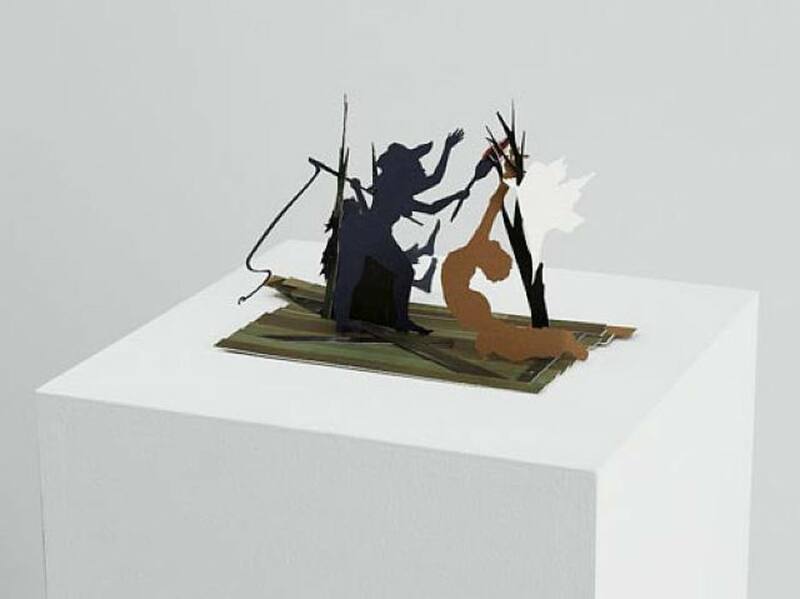 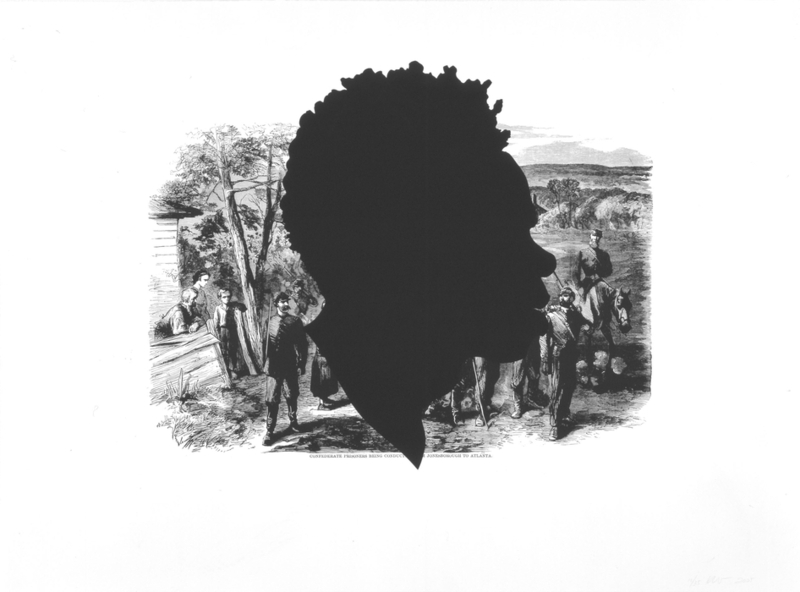 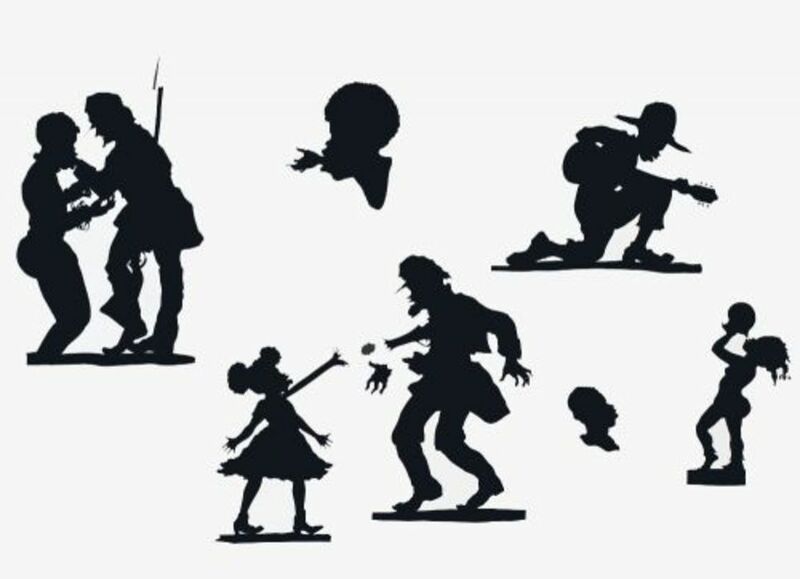 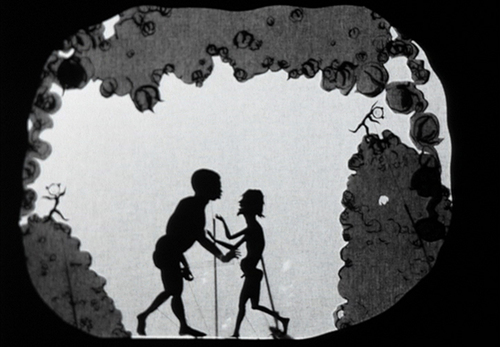 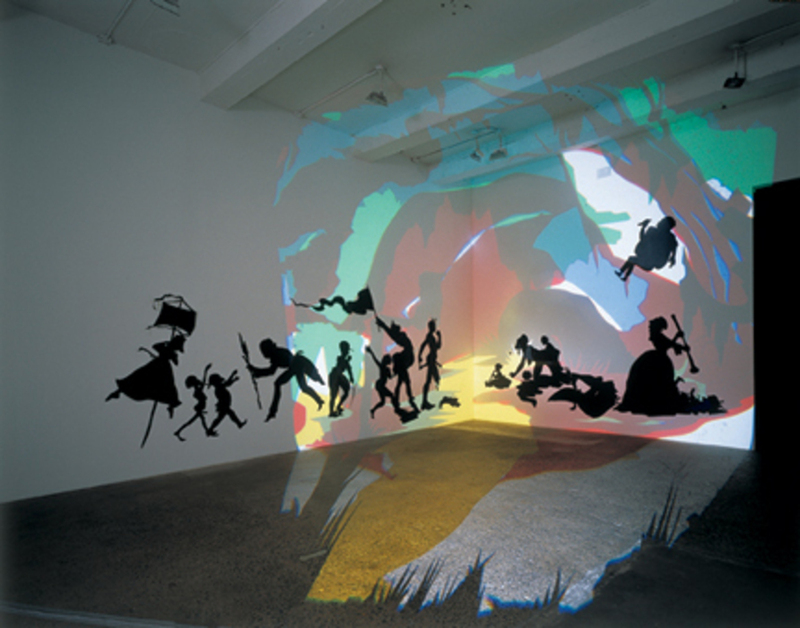 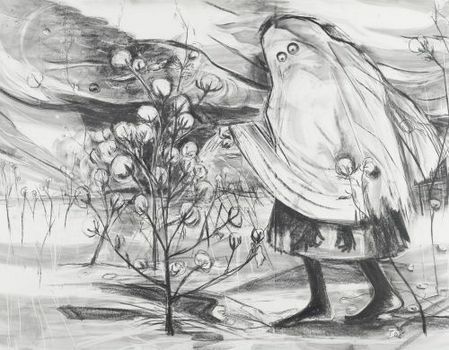 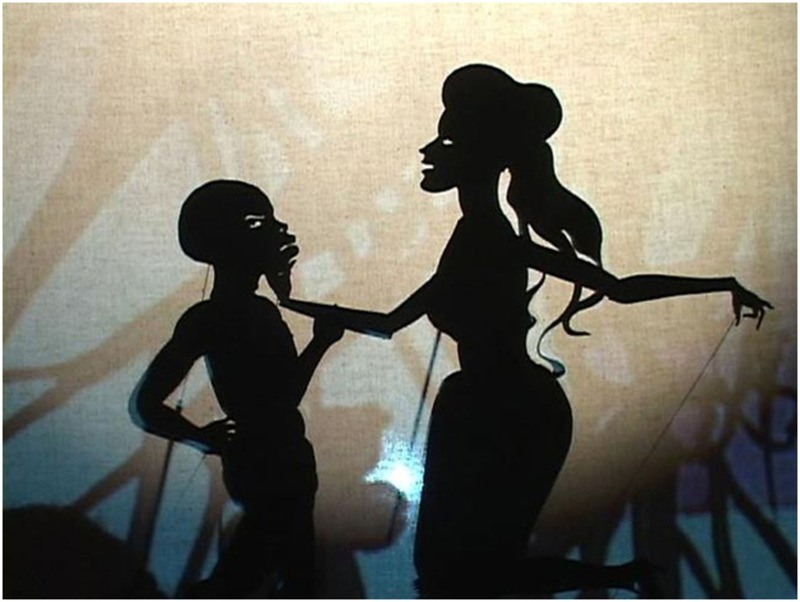 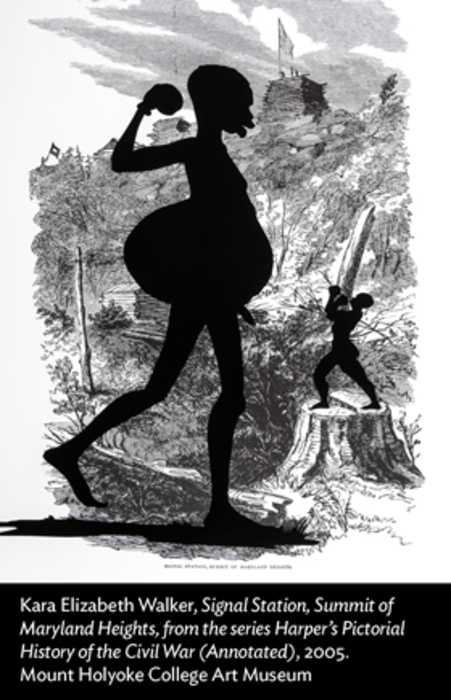 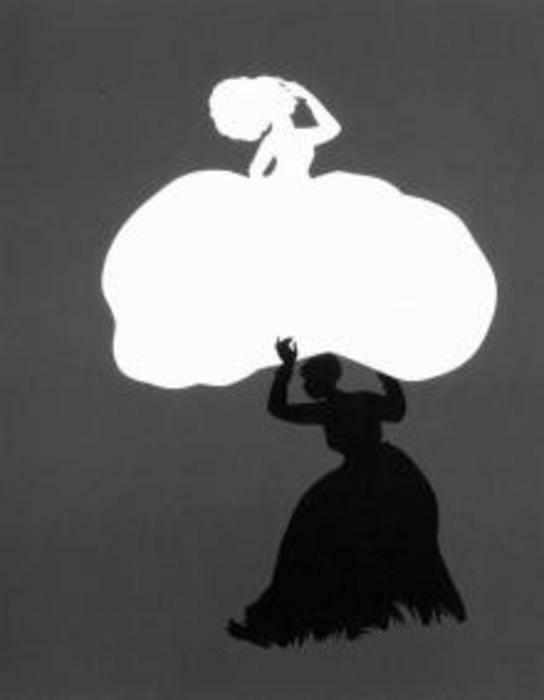 © Courtesy of the artist & Lehmann Maupin - Chrystie St.
Kara Walker is a contemporary American artist who explores race, gender, sexuality, violence and identity in her work. 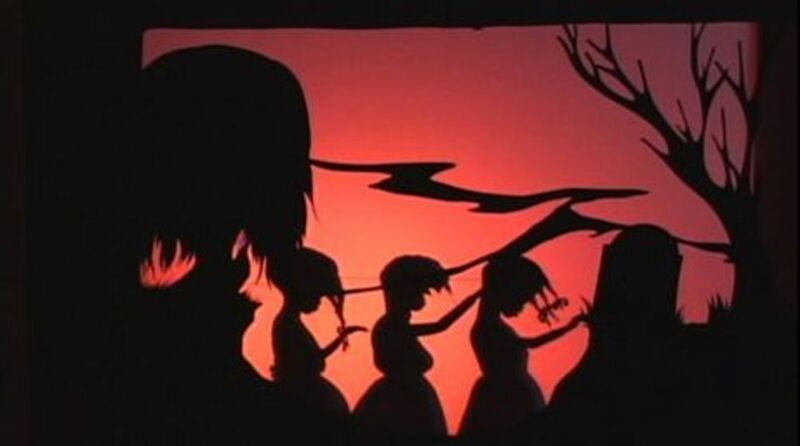 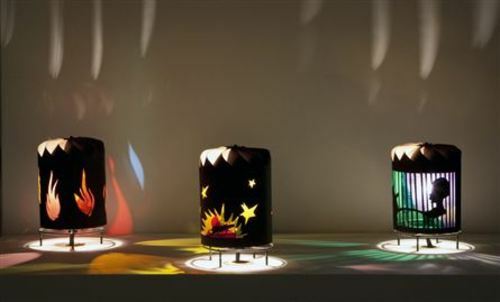 She is best known for her room-size tableaux of black cut-paper silhouettes. 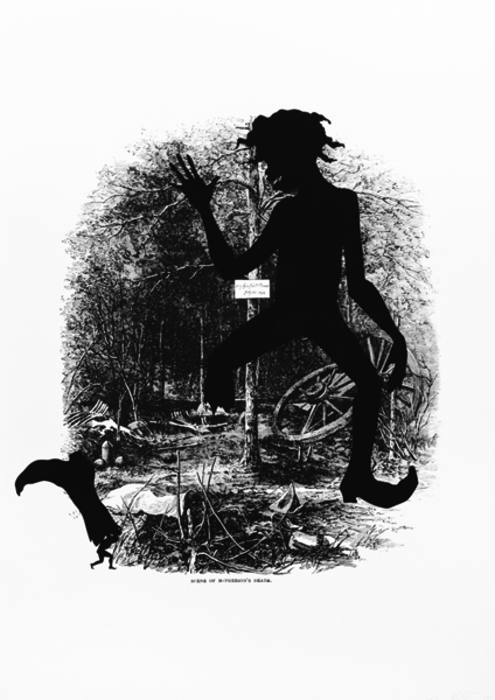 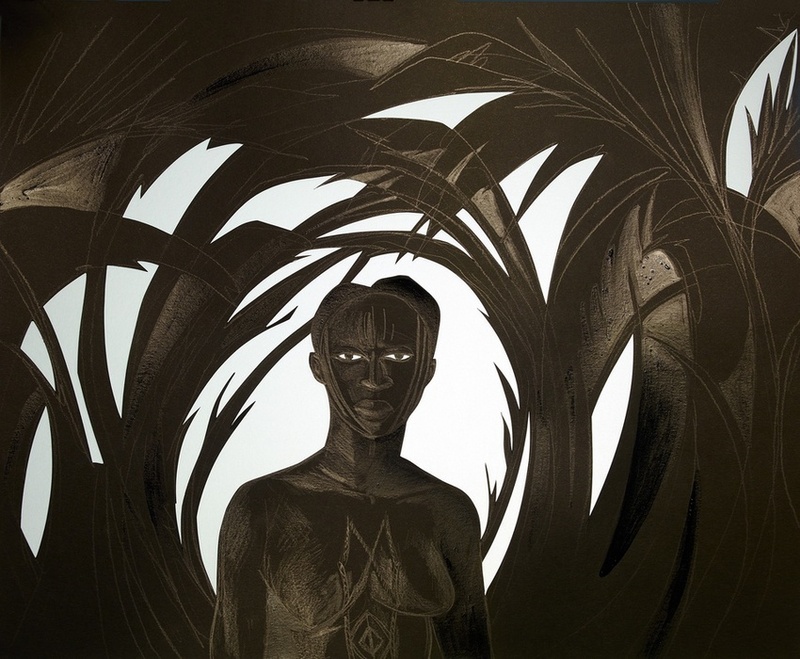 Walker's silhouette images work to bridge unfinished folklore in the Antebellum South, raising identity and gender issues for African American women in particular. 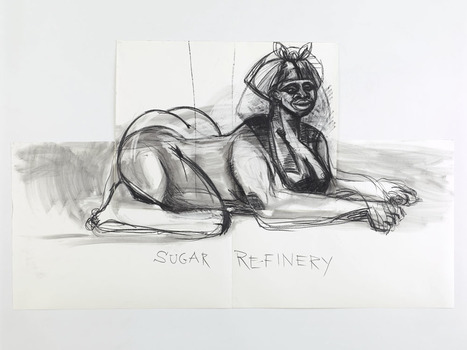 However, because of her confrontational approach to the topic, Walker's artwork is reminiscent of Andy Warhol's Pop Art during the 1960s. 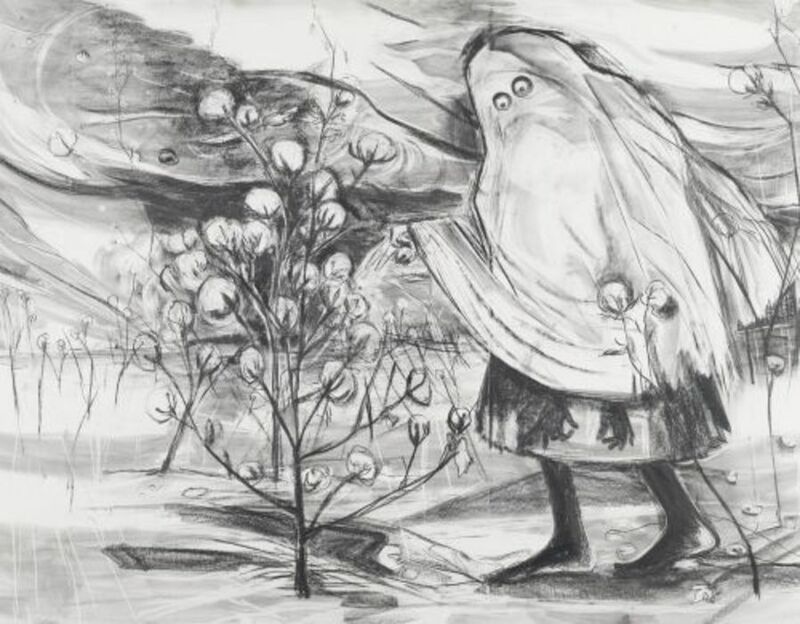 Her nightmarish yet fantastical images incorporate a cinematic feel. 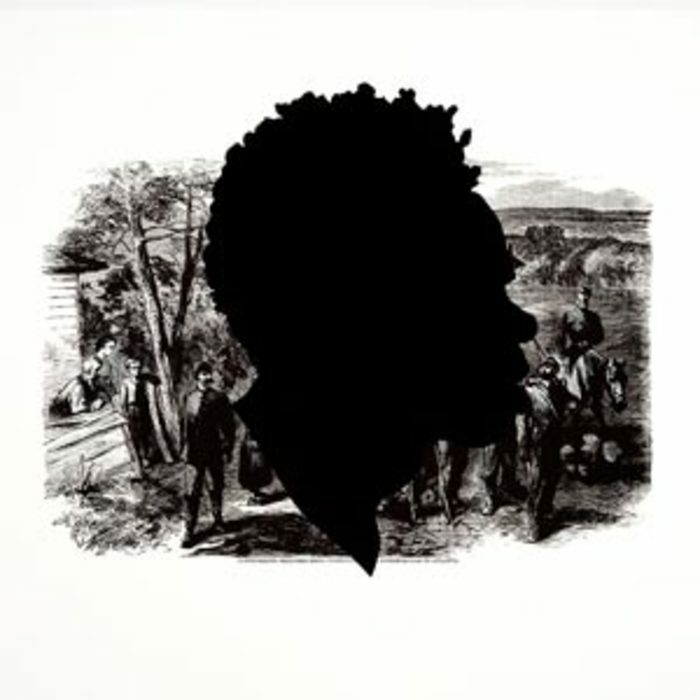 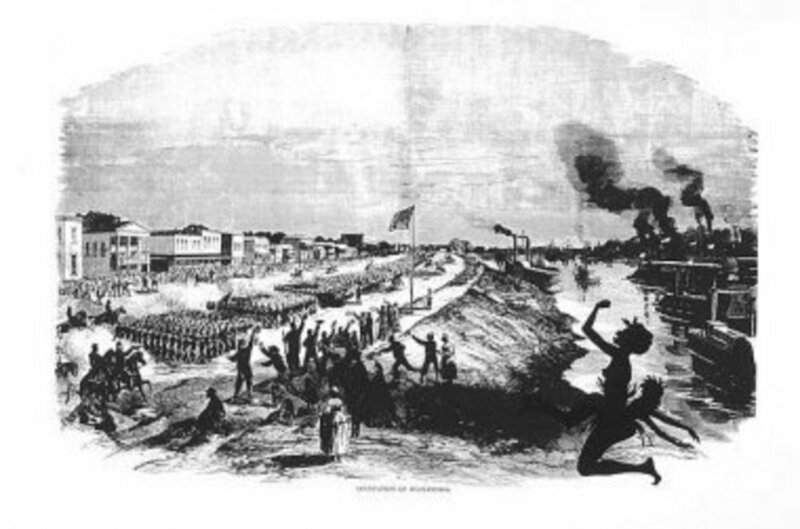 Walker uses images from historical textbooks to show how African American slaves were depicted during Antebellum South. 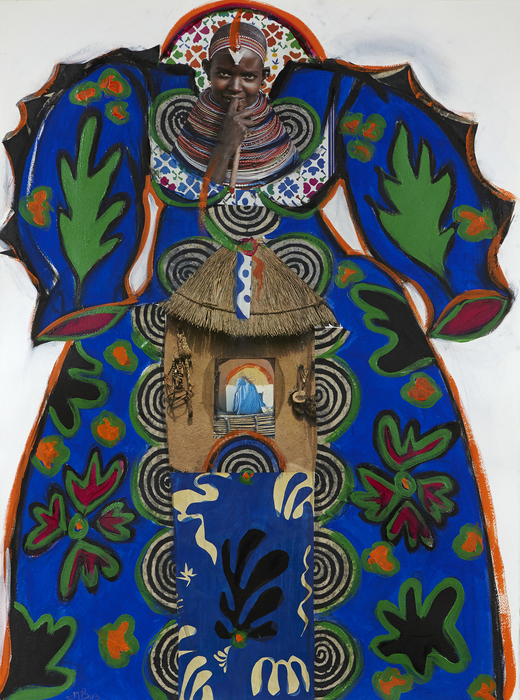 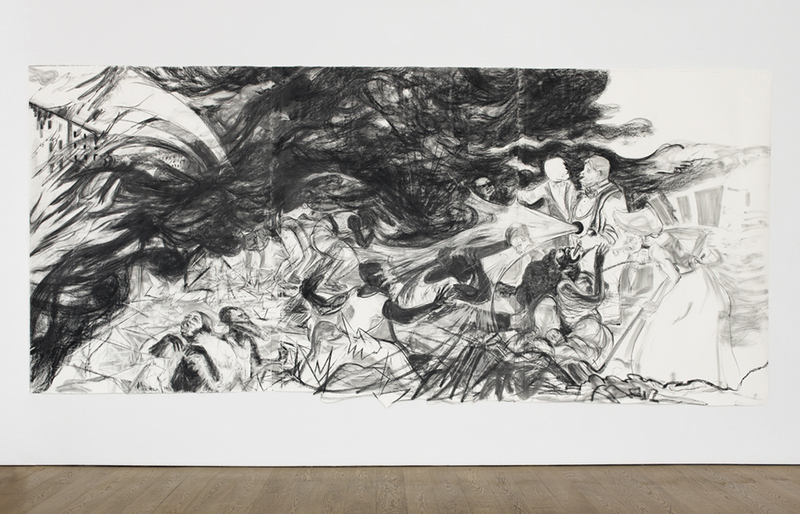 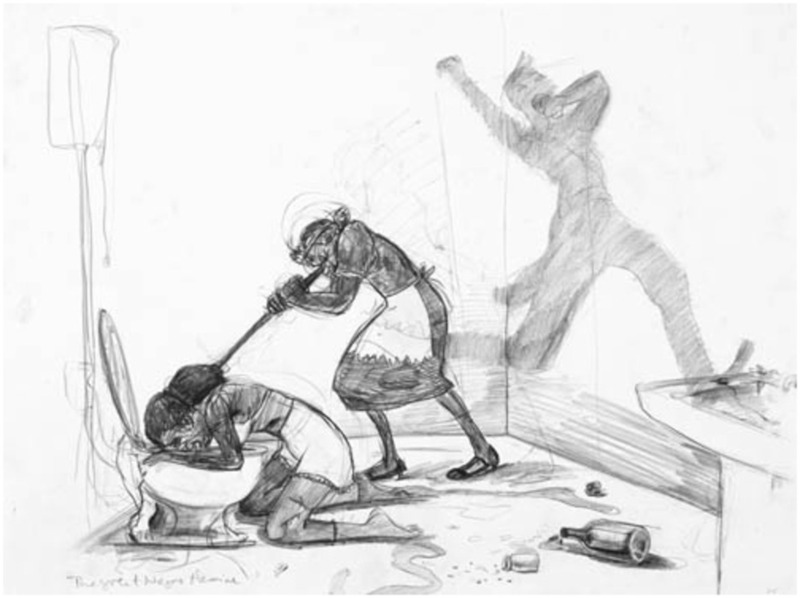 In response to Hurricane Katrina, Walker created "After the Deluge," since the hurricane had devastated many poor and black areas of New Orleans. 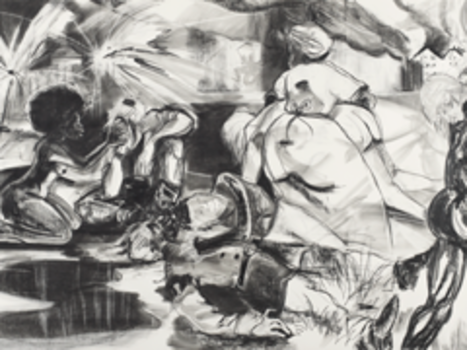 Walker was bombarded with news images of "black corporeality," including fatalities from the hurricane reduced to bodies and nothing more. 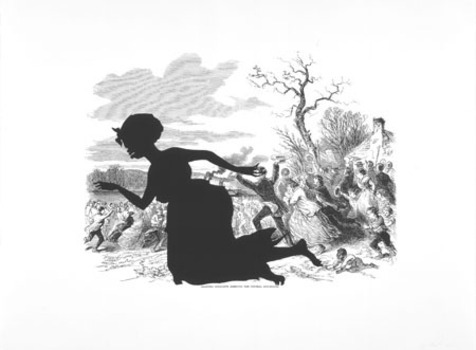 She likened these casualties to African slaves piled onto ships for the Middle Passage, the Atlantic crossing to America. 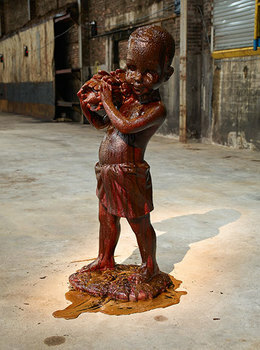 In 2007, Walker was listed among Time Magazine's 100 Most Influential People in The World, Artists and Entertainers.